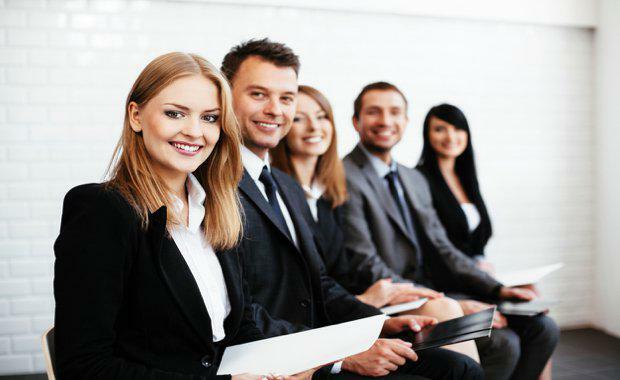 University degrees aren't required for a successful career in property, but agencies are increasingly seeking out real estate-qualified graduates to fill sales roles due to their specialist business and leadership skills in the highly competitive industry. And it makes sense, given that most real estate agencies offer a package of training, mentorship and ongoing sales 'programs' as part of employment, flagging the need for education. One of Griffith University's real estate graduates was employed by national property services agency Oliver Hume in Queensland, and appointed two major projects, with the option to be called out to sell at any of their 15 projects across the state. Hamish Barton received the Oliver Hume Corporation Bursary (OHCB) in March 2016 which gave him $2,500 toward his studies and a six-month paid part-time internship with the national property firm as part of the prize. By the time he graduated, Mr Barton had scooped up a graduate position as a Project and Sales Coordinator at Oliver Hume working across Brisbane, Gold Coast and Ipswich markets. He said his real estate industry mentors - which include some of the industry’s top agents, property lawyers, and national associate directors - all urged him to further his studies to give himself the best start in the competitive industry. “It’s tough,” Mr Barton said of getting started in real estate. “The top agents all stressed that I needed to view the industry as a ‘business’. 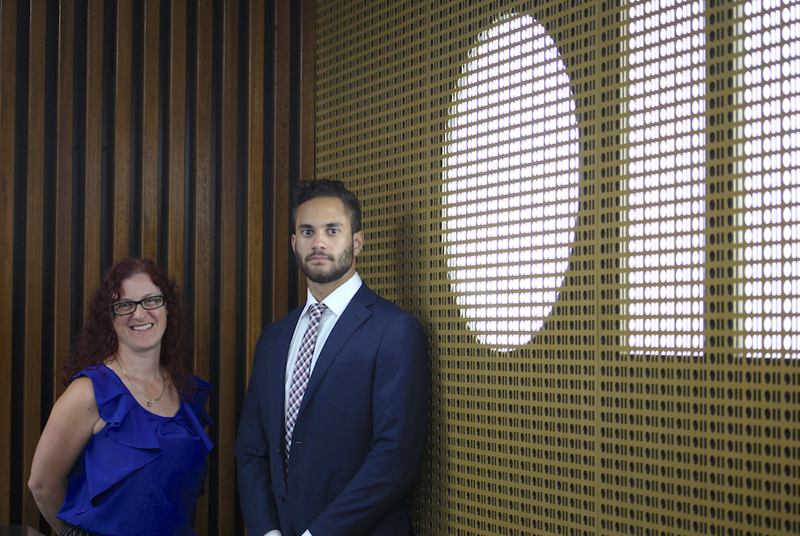 Griffith University's Dr. Melissa Pocock and Oliver Hume's Hamish Barton“The studies were a blend of business and property, so I have a great understanding of the industry I’m in. I believe that learning the business side and understanding the environment of a lot of our clients puts me ahead of many other property professionals. “I’m grateful that the partnership between Oliver Hume and Griffith exists as it provides students a head start in a highly competitive industry. "One of the most rewarding moments of my job at Oliver Hume was witnessing new buyers weeping with joy after purchasing their dream block of land at Helensvale’s The Surrounds development. "Oliver Hume Joint Managing Director Queensland Brinton Keath said the company’s partnership with Griffith University ensures that students have the opportunity to achieve full time work after graduation. “Hiring ambitious, energetic graduates and developing them within Oliver Hume is big asset and these students are committed to understanding all aspects of the industry," Mr Keath said. “In real estate, there’s a demand for know-how, and we want to support that. There’s a growing focus for agencies to recruit, retain, train and support young people. Oliver Hume’s annual bursary and internship programs is in partnership with Griffith University and is open to students undertaking the Bachelor of Business, majoring in Real Estate and Property undergraduate degree. Griffith Business School's Dr Shane Barry, director of the Real Estate and Property Development major, acknowledged the outstanding level of industry engagement the university has developed with Oliver Hume. "Brinton and the team at Oliver Hume have been generous and collaborative industry partners to work with in providing great property industry opportunities and experiences for our students," Dr Barry said. Real Estate and Property Development Lecturer Dr Melissa Pocock said the partnership between Griffith and Oliver Hume was going from strength to strength. "Oliver Hume provides a paid internship and cash grant, and also sponsors a Property Development Study Tour each year for students undertaking their final year. It’s fantastic to see the Griffith property graduates progressing so well in their careers,” Dr Pocock said. Mr Barton said he was excited to be working on projects throughout the Brisbane and Gold Coast corridor as land prices continue to rise. “The Gold Coast market is one I am really interested to see develop over the next 12-24 months. The prices of land in the region is rising and I don’t believe it will fall any time soon. I am lucky to be working in such a strong real estate market,” he said.